The weather this week was great, so I went down to the beach to take some photos. Getting panoramas right has taken a lot of trial and error, but I'm really happy with the result. 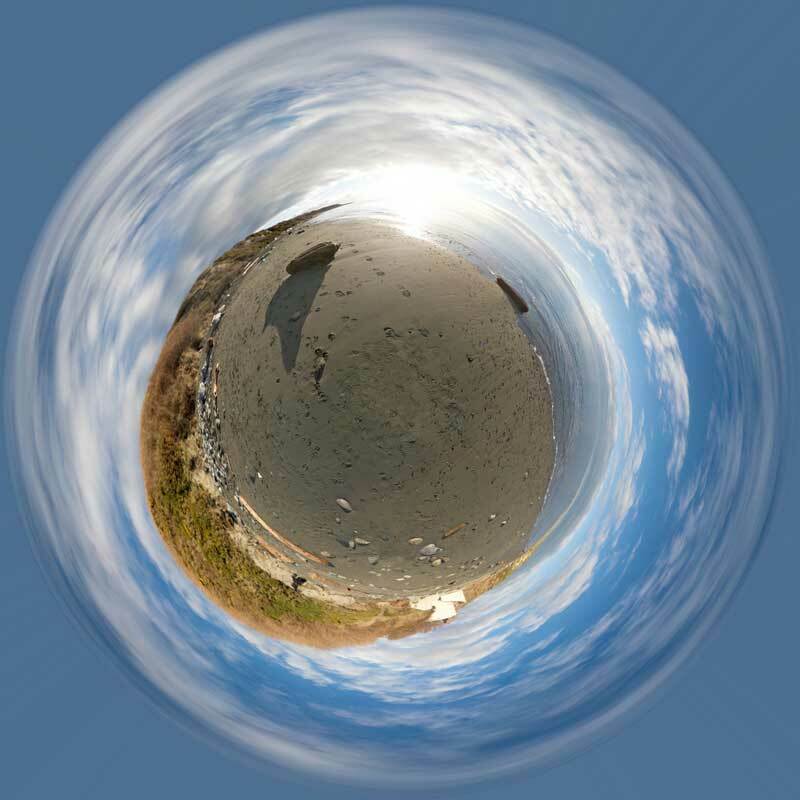 For a full 360° panorama having a panorama head is important to prevent problems blending the photos together. Autostitch is a great (and free!) program, but it's Windows-only and I use a Mac. After testing various Mac panorama programs I settled on Autopano Pro because it uses the Autostitch engine and it's available for Mac, Windows and Linux. MakeCubic is a free program for converting equirectangular panoramas into Quicktime VR movies. I'm looking for something similar to create flash VR movies so leave a comment or send me an email if you know of anything.